What is a Corporate Learning Culture? 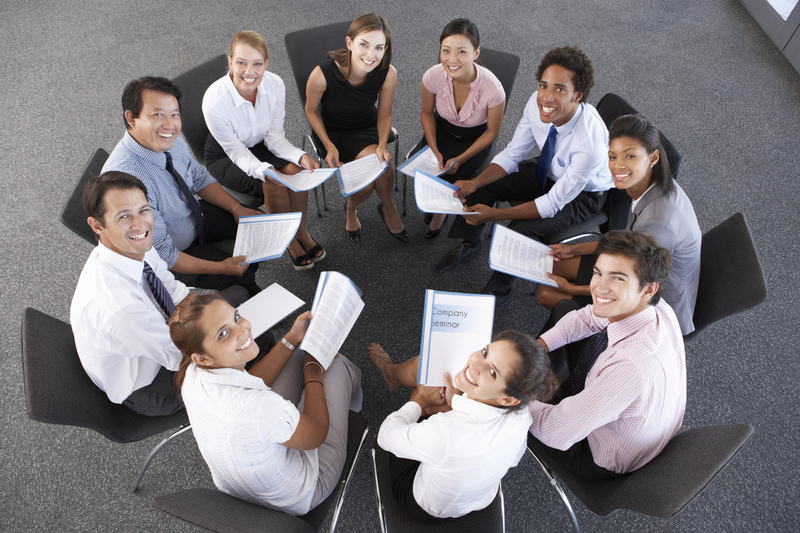 A corporate learning culture is a concept that’s gaining traction in many organizations. Essentially, it refers to company-wide continual encouragement of, and engagement in, learning. This learning has multiple purposes: to improve employee competencies, to look for gaps that exist in organizational policy and amend them, and to pay attention to issues in the larger industry that a company can address. Continual learning, and applying skills and knowledge, benefits the company allowing it to better serve clients and gives it an edge over the competition. Knowledge is acquired about the company and the industry: Where are there gaps in company policy? What problems are being routinely spoken about in our industry that we can address? What skills do employees need to address them? What information do we need in order to create solutions? How can employees develop these skills? Knowledge application happens when employees use new information and skills as possible remedies for the identified problems and gaps. Knowledge is Disseminated when employees share knowledge they have learned, and it further educates others. The power of sharing information encourages others to likewise share and ultimately contributes to subsequent learning cycles. 1. Diversity: An organization should strive to follow hiring practices that recruit a multiplicity of talent: individuals with a range of backgrounds, identities, knowledge, skills, and experiences. The organization should encourage collaborative work (where possible), value different viewpoints, and capitalize on varied contributions. 2. Psychological safety: Employees should feel safe to take risks, ask questions, and fail when trying out new ideas and processes. The learning that comes from such experiences is invaluable, benefiting both individual employees and the company as a whole, as those mistakes provide useful feedback about what is not working, and spur ideas about what can be modified in the future. 3. Autonomy: Employees, as individuals and cohorts, should have the ability to offer and follow through on new ideas, and be able to capitalize on their individual and collective strengths. This enhances their learning experience and gives them a sense of investment and ownership in the process and the final outcome. 4. Experimentation: Related to the two previous aspects, employees should have opportunities to experiment and test ideas in controlled environments. The ability to test an idea sooner rather than later leaves ample time for necessary corrections, and it means that when a new project is brought to market, employees have had the opportunity to refine it and ensure its success. 5. Reward: Individuals and cohorts who create new products and processes or offer new ideas should be rewarded. This, like autonomy, encourages employee investment in projects, and the company. It encourages everyone to continue to learn and share their future contributions. Leadership teams that support these five elements foster a positive learning culture and are engaging in best practices. Issue #1: Learning is tied exclusively to formal training. Learning new skills is essential, but a culture of corporate learning has to encompass more than training. It needs to inform all aspects of a company’s internal business practices as well as the changes and benefits they can bring to their clients. How is learning essential for informing and improving a company’s business strategy? How does learning allow a company to provide better services and products, and do so faster than the competition? Issue #2: The role of the Chief Learning Officer. Does a company have a CLO? If so, does this person have the authority to implement ideas, or is the CLO not included in decision-making and corporate strategy? Some CLOs may be in charge of training, but those efforts may not be strategic and connected to other essential initiatives in the business. Issue #3: Only Leadership is Learning. In a successful learning culture, everyone in a company is learning, not only senior leadership or employees who interact with clients. Learning efforts in the company should be coordinated and aligned among different groups. Learning that happens should not be discrete activities, but rather interconnected ones. Issue #4: Learning is not actually valued. If leadership says that learning is important but does not actively support learning opportunities, they will not happen. If learning is predicated on solely what the CEO wants, employees will be shut out of active participation in the learning process, and the company will not evolve. If you’re ready to pursue a corporate learning culture within your organization and you hope to avoid the roadblocks listed above, consider consulting with the pros. At KnowledgeForce Consulting, we have helped organizations like Time Warner Cable and Blue Cross Blue Shield HealthNow improve their training to advance their customer care practices. Click here to contact us for more information today.